There are now endless marketing tips and tools available to everyone with every kind of budget. It has gotten much harder to know when to stay strong and push on through a marketing plan that’s not quite working and when to let go and see what happens. It’s a blessing and a curse for a writer. I’ve been writing and publishing for a few years and I’ve been fortunate enough to get the chance to be traditionally published and to self-publish. I’ve had the chance to have no money for marketing and a healthy budget. The lessons I learned from the experiences have proved to be invaluable to my life as a writer but not in the way I expected, especially when it comes to marketing. What I discovered has felt like an obvious answer and has given me back my love of writing. Years of frustration over marketing had slowly taken that from me till I wondered if I wanted to write anymore. That’s when I paused and started listening from within and finally got an answer. First, remember that when it comes to the actual writing, we all have a calling, an urge to write in one style or another and it’s pretty difficult to get us to stray from it. Mine is to write a series of thrillers, the Wallis Jones series, that include big conspiracies and average families searching for a way to deal with it all. For some, the answer is God, while others keep searching, hoping for a different answer. No matter how many times I went and tried another style of writing, I eventually came back to that mix. Marketing, however, is altogether different, especially in a quickly-changing world full of experts who say they can help sell your book. I’ve tried quite a few of them and with both good and bad results. In the end, it was all a lot simpler than I was trying to make it. The answer was to live life on life’s terms. In other words, if there’s enough in my budget to do some marketing, then consult with the experts, weigh the options and set out with a plan. Keep the focus on the one plan and invite God into the entire process. Instead of focusing on how many books were selling, my attention shifted back to what motivated me in the first place. I wanted to write because I had something to say. The fun returned because it was no longer about the outcome. So much of marketing can be about outcome if you let it. That’s where I’ve started using spiritual marketing as my guide and letting go of the results. My part is to just do the piece of marketing that’s due today and then stop. I find myself sitting down to write without gritting my teeth or thinking about who might want to read it. I’d still like to sell a lot of books but my stomach doesn’t lurch when someone asks me how many have sold and I don’t feel compelled to hunt down opportunities. I’ve got a plan in place for The Keeper that is reasonable and in line with my current budget for time and money. Outcome is out of my hands and I turn it over daily to the one place I know will be able to do something with it. I do my part in all of it but I’m not making sure everyone else is also doing their job. Until I adopted the idea that God would need to be part of the marketing as well, it was never enough. But for me, spiritual marketing means God can get me wherever He wants me to be so I can be assured this is my journey and relax into it. Martha Carr is a journalist and author of five books, including the Wallis Jones series. 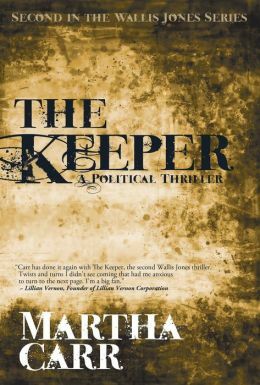 The 2nd thriller in the series, The Keeper has just been released. http://www.wallisjonesseries.com/. 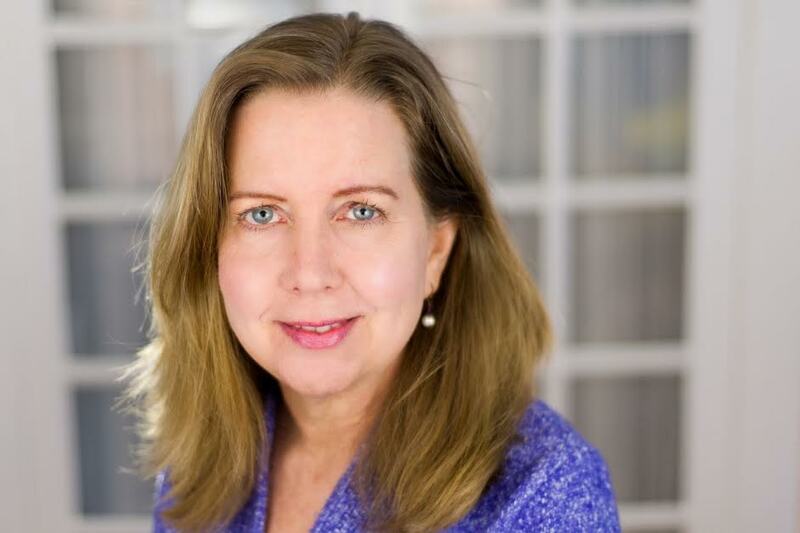 This entry was posted in Encouragement, Fiction, Marketing and Promotion, Non-fiction, Publishing, Writer's Life, Writing and tagged Martha Carr, Spiritual Marketing, The Keeper, The List by Greg Johnson. Bookmark the permalink. Just what I needed to hear, Martha! Thanks for sharing. One of the “marketing tools” I use, too, is to help others. It gives me such joy and takes my mind off myself. You hit the nail on the head Clarice. When I stop making any of it about me and just stay in the moment, be of service, things turn out so much better and the writing reflects that. I sure appreciate this balanced outlook! My first novel is getting published and I’m trying to wrap my brain around all of the marketing strategies etc, especially the free ones! There are a lot of experts with much to say (and much that has been valuable), but it is still overwhelming to feel like I’m expected to do it all! I will keep your advice in mind and just do what I can by God’s grace. Just realized the link that I’m logged in with is wrong. Clearing that up with this additional comment. Sorry! Congrats on your first novel! There will always be a flood of marketing ideas – a lot of them are good – but without a plan and at least for me, a sense that God’s in charge, it’s easy to run yourself into the ground instead of enjoying the fact that you have a new novel coming out! In the end, God is big, and can get us to where He wants us to be so overdoing it only pulls me further away from listening to His will.